Making it a habit to be at the forefront of the newest technological inventions, Automobiles Citroën has always tried to be the leader in this arena. 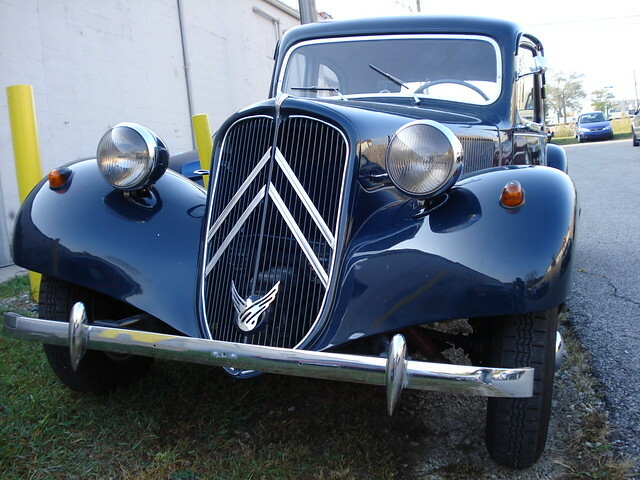 Citroën needed a totally new revolutionary model in 1933, despite all of its financial problems. The desired features in the new model included 100 km/h maximum speed, uni-body construction, a consumption of 10 liters/100 km, automatic gearbox and front-wheel drive. Designed by André Lefèbvre and Flaminio Bertoni, the Citroën Traction Avant ('Traction Avant' is French for front wheel drive) was introduced at the end of 1933. The Avant was the product of the French mass-production pioneer of front drive and all-steel unit construction, encouraged by America's Budd Body Company. During its production run from 1934 through 1957 a total of 760,000 units were produced. 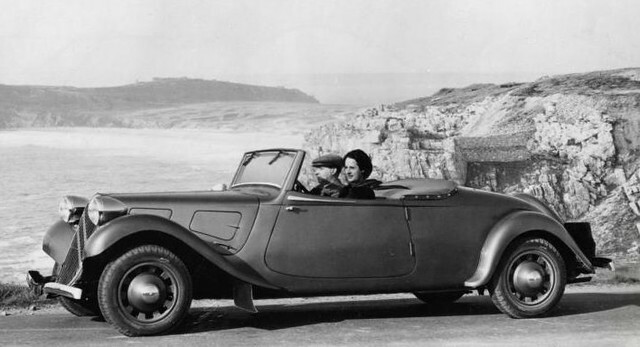 One of the most successful vehicles with front wheel drive in the 1930's, the Traction Avant was not the first production FWD passenger car, - others tried it before - but it was the world's first front-wheel drive steel monocoque production car. 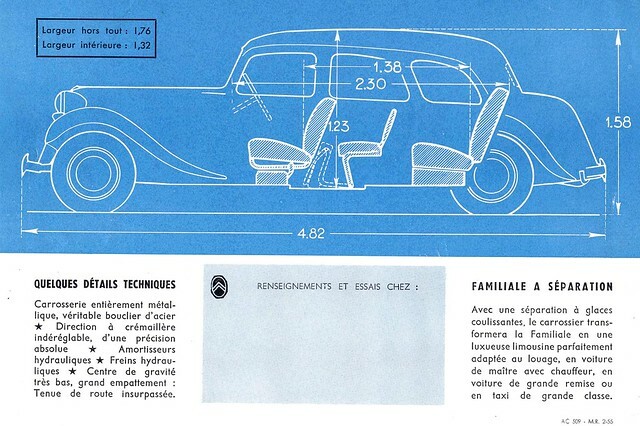 While most vehicles of the era were based on a separate chassis onto which the coachwork was built, the Traction Avant used an arc-welded monocoque. The Unit Body construction resulted in a lighter vehicle, and today is now used for almost all car construction, although body-on-frame construction is still suitable for larger vehicles such as trucks. The Avant featured many advances that included removable wet cylinder liners, pushrod OHV engines, independent front suspension, and four-wheel torsion-bar springing. The driveline layout put a three-speed manual gearbox ahead of the differential and engine. Very soon, the original prototypes were prepared and ready to be tested. 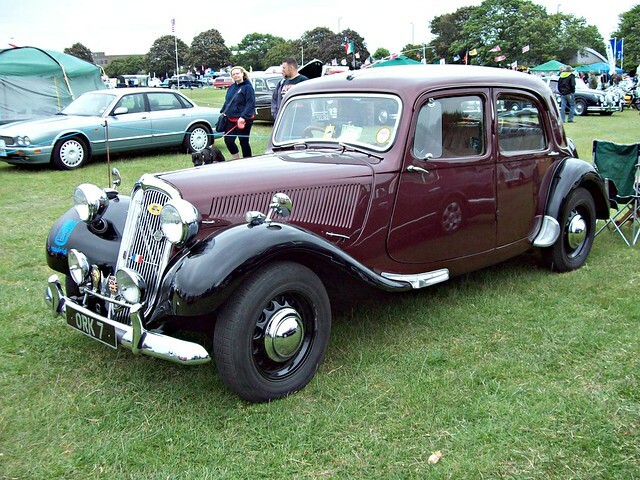 The Traction Avant was introduced prematurely and changes were necessary to get rid of the problems that had originally occurred with the first vehicles. Various problems were found in the automatic gearbox, but the majority of vehicle seemed to be fine. A new manual gearbox was redesigned within three weeks, with three forward and one reverse gear. The steering was too heavy and a different type of steering was needed. 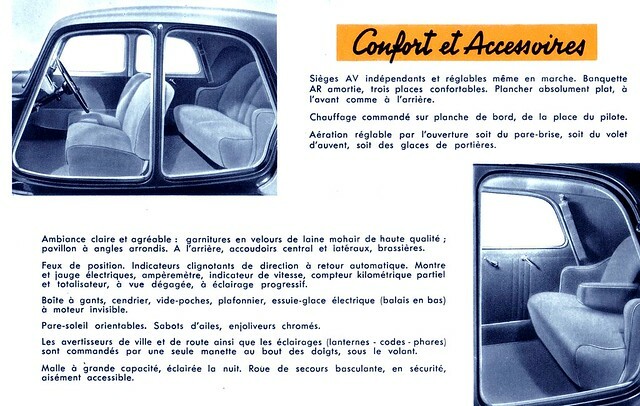 At first the rear luggage space was not accessible through a boot lid, but only by swinging the upper part of the back seat upwards and securing it to the roof with two straps. 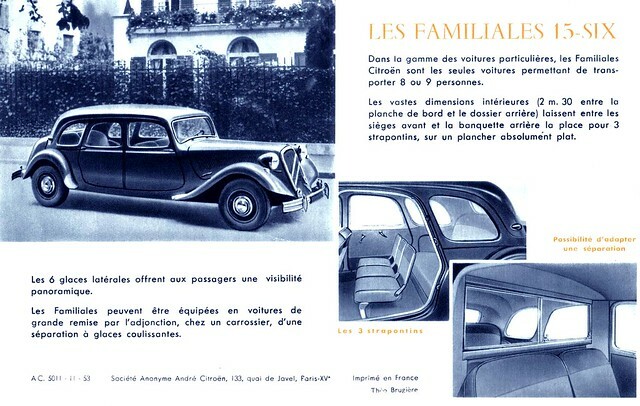 Possessing a very unique look, the Traction Avant appeared quite interesting in 1934, but by 1955, the look was considered to be old fashioned. For the era that the car was introduced, the suspension was quite advanced. Independently sprung, the front wheels used a torsion bar and wishbone suspension arrangement, where most contemporaries used live axle and cart-type leaf spring designs. To allow the two torsion bars to run parallel to each other, across the vehicle's width, the rear suspension was a simple steel beam axle and Panhard rod with unequal trailing arms. 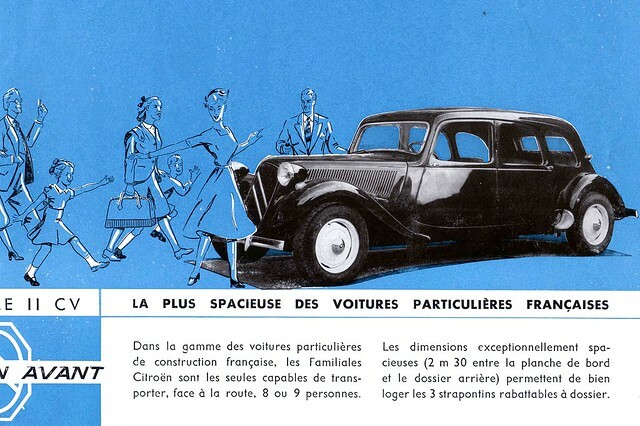 The styling of the Citroën Traction Avant was low-slung at only 60 inches high that was emphasized by omitting running boards. Interior space was quite exceptional, and was created by placing the wheels at the extreme corners, and high stability was formed along with a smooth ride. 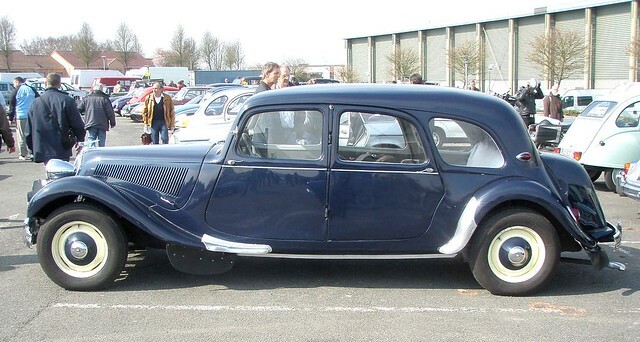 The Citroën Traction Avant was capable of 62 mph and used only 10 liters of gas per 100 km (24 mpg) due it lighter than ‘conventional' designs of the era. The Avant was produced in both a 4-door body, a 2-door coupe with a rumble seat, as an extended length Familiale with three rows of seats, and as a convertible. In 1939, the Avant also debuted as a hatchback-type Commerciale variant, in which the tailgate was in two halves, the lower of which held the spare wheel with the upper opening up to roof level. After production was resumed following World War II, a one-pieced top-hinged tailgate was introduced on the Commerciale. 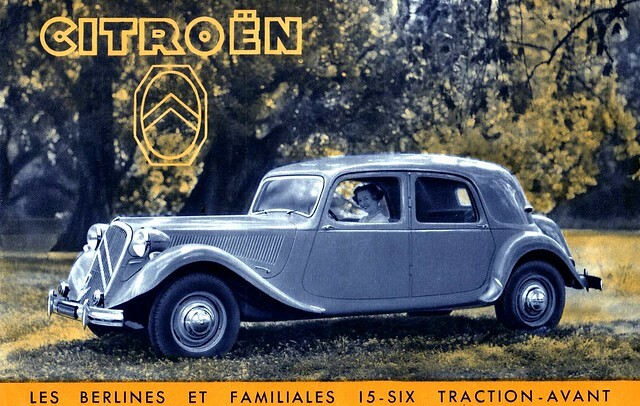 One variant of the Traction Avant was a small saloon called the 7A with a 1303 cc engine. In June 1934 the 7A was succeeded by the 7B and 7C with higher powered engines of 1529 and 1628 cc respectively. 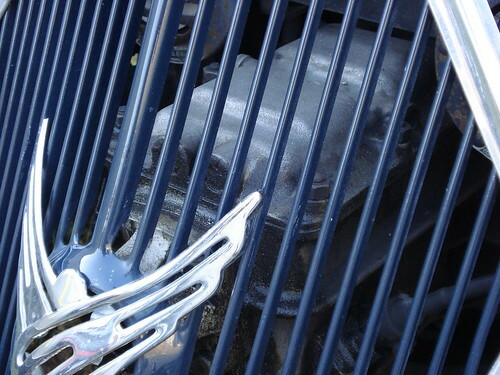 Another variant was the 11 (for 11 CV) came with a four-cylinder 1911 cc engine, and the 15 (for the 15 CV), which featured a 2867 cc six-cylinder. The 11 variant was constructed in two versions, the 11L (light) - originally designated 7 Sport, it was the same size as the 7CV, - and the normal mode 11, which came with a longer wheelbase. Citroën designed two unique variant models. Unfortunately, these never entered production due to a lack of available funding to develop them. One variant was based on the Sensaud de Lavaud automatic transmission and was an automatic transmission-equipped model. 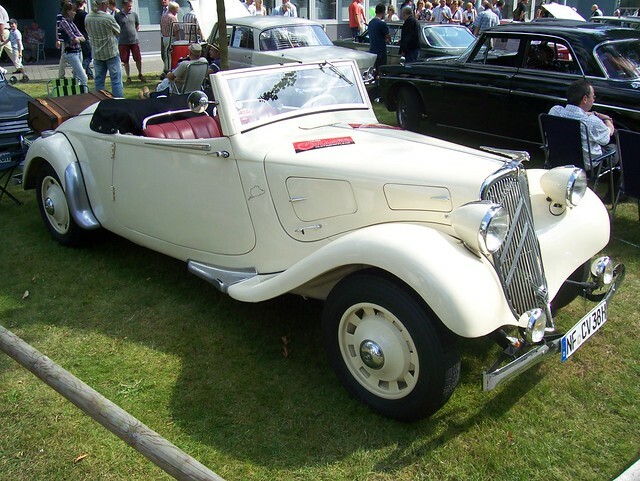 The second variant was a 22CV model with a larger V8 engine, of about 3.8 liters. The project was cancelled in 1935 due to Michelin's takeover, and only about twenty prototypes were ever made. 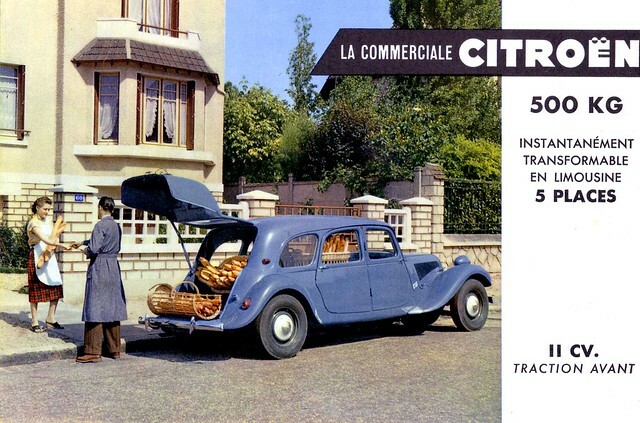 The cost to develop the Traction Avant was extremely steep, and due to this, in 1934 Citroën had to declare bankruptcy. 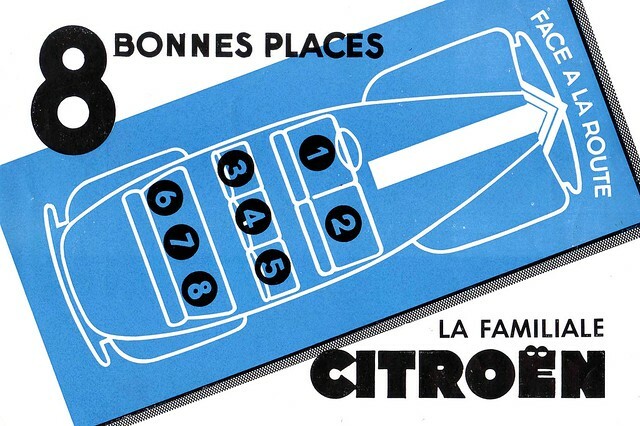 Michelin, the largest creditor ran Citroën as a research laboratory. Of 760,000 units produced, about 60,000 were assembled outside of France - in Germany, Belgium and the UK. 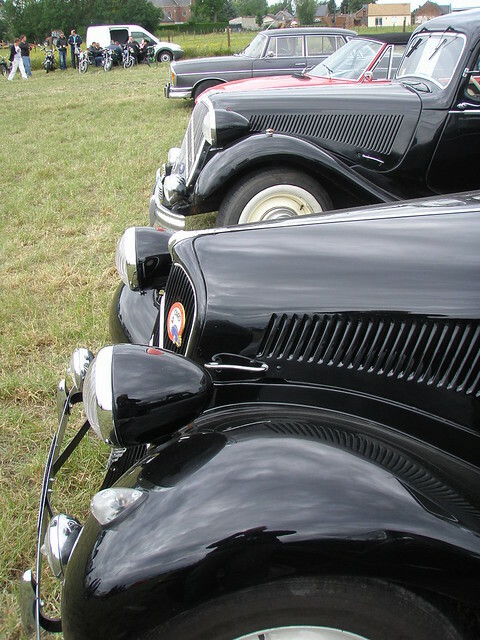 British-built Citroëns were designated Light 15 (11L), Big 15 (11) and Big Six (15). The oldest surviving Traction Avant 7A is on display in the Citroën Museum in Paris. The convertible Traction Avant 11L made its famous debut in the Indiana Jones and the Last Crusade film with Harrison Ford. Well done, Lejon. I love it. Here is my own take on this car! A pure work of art. Fantastic. Time to que up the film DIVA!